Are you interested in advancing your research agenda? 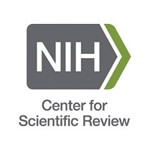 The National Institutes of Health’s Center for Scientific Review (NIH) offers an Early Career Reviewer Program for emerging biomedical or behavioral researchers. The program was designed to help researchers jumpstart their career through the review of grant applications. Benefits include an insider’s view of the NIH grant application review process, development of skills needed to be expert reviewers and networking opportunities with distinguished scientists. Early stage reviewers also enrich the pool of future NIH reviewers.